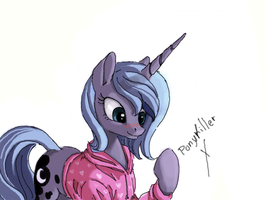 Pinkamena sure looks awesome with a hoodie!!!
" in my dreams , (i can kill you ) close to me , you open the cage and you set me free, come to me , ( run away forever from this misery ) lost my mind, are you calling me? Killing time that i left behind , everything changes to a point where it stops and it turns around , cover is falling down , Killing time that i left behind. " amazing art , and it got Killing Time stuck in my head! and , i love how pinkamena looks! I also thought of that song when I saw the title! is there a colored version? Love the hoodie, nice values! ... Every night in my dreams - I see you~ I here you~ ... First thing that came to mind. Pinkie with Pinkamena's hair is the best Pinkie. Gosh, I gotta say this picture is so amazing. The last 3 nights I've ended up looking at it. nice job! This is just the best picture I seen all day!!!!! This is a scrap? Maybe relatively speaking... maybe.... One man's trash is another man's treasure and one artist's scrap is another artist's masterpiece. I like the facial expression. It's very unclear how Pinkie Pie is feeling. I really like how you did her eyes, they're quite nice. How do you do it? Even in a simple monochromatic color scheme, you do epic pony artwork! Please keep drawing! I so love the work you do! This shall be another welcome addition to my favorites! Is it a statement on how fragile her state of mind is? Is this a refernce to the song Killing time by Infecting mushroom? from the line where it says "In my dreams....I can kill you"?